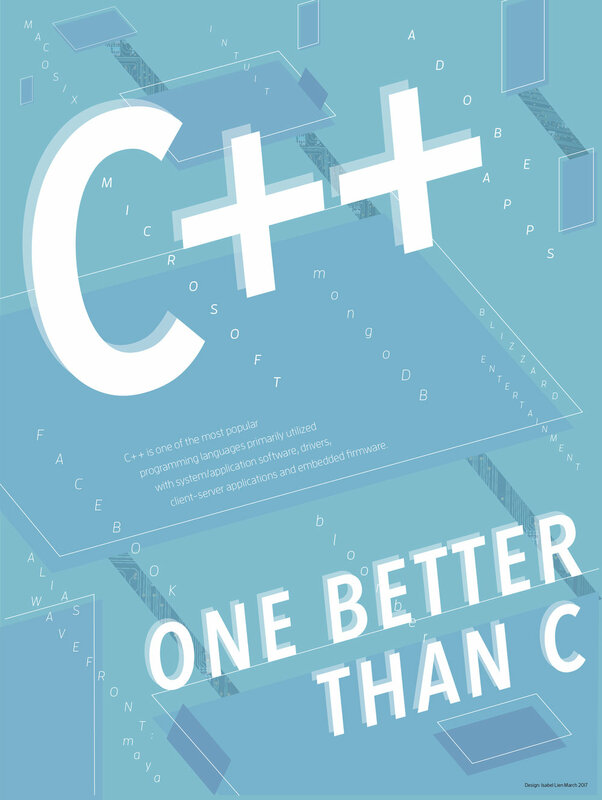 I'm sure you were expecting some cool application written in C++, but the world needs a good design of a poster featuring C++. Design Thinking: The poster was designed with the purpose to show dynamism in the programming language, C++. The focus was to display successful programs/applications that were created with the help of the language but also to reflect the structure of a motherboard inside a computer (created clipping masks of the motherboard to provide extra texture) from a new perspective. Using various angles on the text and shapes, it pushed perspective & helped show even more movement across the composition.